The year 1972 marked another major step in the evolution of the World Series of Poker to where it is today. 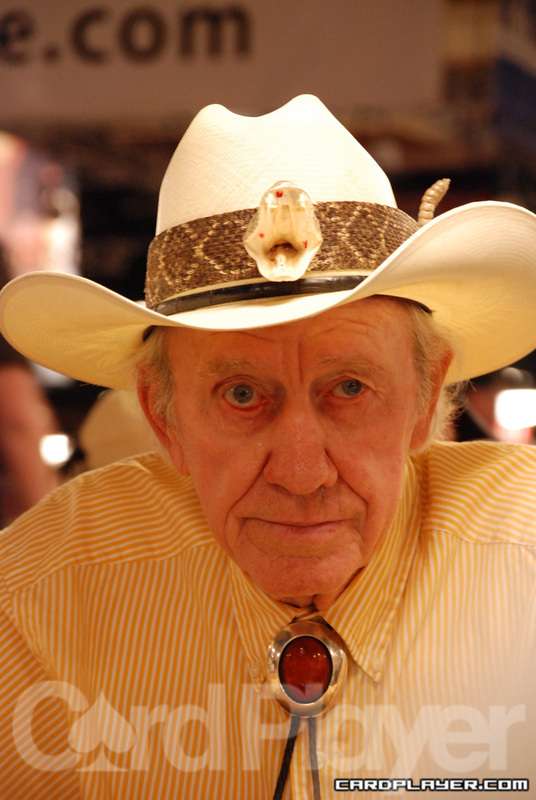 The birth of the marketable poker professional took place when “Amarillo Slim” Preston became the first player not named Johnny Moss to win the main event. Preston used this notoriety to become the first poker ambassador to the general public. He parlayed his title and charismatic personality to embark on a national publicity tour that led to appearances on the Tonight Show (11 times, in fact) and 60 Minutes. He also wrote a book entitled Play Poker to Win and appeared in the movie California Split. The exploits of Preston caught the attention of Kenny Rogers, who was inspired by Slim to write the famous song The Gambler. The WSOP had made its first impression on mainstream America thanks to Preston. At the beginning of play in 1972, only eight of the 12 players who were lined up to compete for the world championship showed up at the table. This was due to the lucrative cash games being played at all hours of the day and night that were as big a draw as the main event. The entry fee was also doubled to $10,000 that year in order to draw more players and publicity, and it hasn’t changed since. 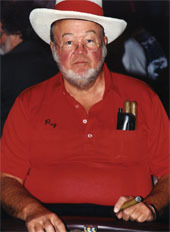 Moss jumped out to an early lead at the final table, but that quickly changed when Doyle Brunson hit a single out on a board of 9-7-2-10 to make three aces over Moss’ three deuces. Rumor has it that Brunson was already leaving the casino with his jacket on when the fateful card fell. Moss was all but crippled by the hand and busted out of the tournament shortly afterward. With Moss out, the final four competitors included Puggy Pearson (pictured at right), Jack “Treetop” Straus, Brunson, and Preston. Pearson was the chip leader at this point, with half of the chips in play, and Preston the underdog with just under 2,000. This all changed, though, when Preston made trip fives on a flop of 5-5-3 to beat Brunson’s pocket tens. That hand moved Preston up to 5,000 and put him back in the game. Straus was knocked out in fourth place, and then something happened that would never be allowed under current WSOP rules. Preston, Pearson, and Brunson met in the Sombrero room at Binion’s to have a discussion. Brunson claimed that he had an upset stomach and requested to cash out. There is some debate over whether he was ill or if he wanted to avoid scrutiny from the IRS and extra notoriety at the poker table. A gambler in those days thrived in anonymity, and Brunson might have been worried that he would not be able to find lucrative cash games as a world champion. Whatever the reason, Brunson cashed out for $20,000, and then Pearson and Preston happily headed back to the table to play heads up. Pearson held a 2-to-1 chip advantage at the start of the final battle, but Preston was able to even things up with aggression. He stole many pots from Pearson with large raises and reraises. Pearson bet 700 and Preston made the call. The flop was dealt K-8-8, and Preston moved all in. Pearson smelled a bluff and made the call, but Preston flipped over K J for top pair. Pearson revealed pocket sixes, and the turn and river were dealt 2 and 8.